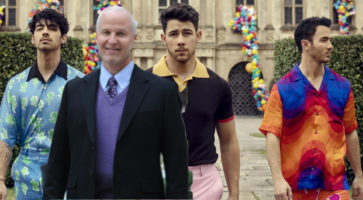 Although the announcement of a Jonas Brothers reunion elicited squeals of delight from fangirls nationwide, a new revelation has inspired less enthusiastic reactions. Morty Schapiro, president of Northwestern University, is reportedly becoming the fourth Jonas Brother in hopes of easing the university’s debilitating debt. Morty himself doesn’t seem too worried, however. “I’ve loved singing since I was a kid,” he recalled. “But my mom made me go into econ. There’s not much room for music in that field, believe me. Now I’ve gotten a second chance at pursuing my true passion. This is my comeback. I can feel it!” To prove his point, he belted out a few off-key notes. At press time, Morty had reportedly compiled a list of potential stage names for himself, with the frontrunner being “Mo Jonas”. The Flipside reached out to several fanfiction writers and stan accounts, all of whom declined to comment.